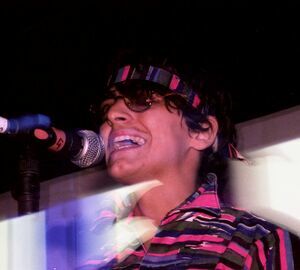 JD Samson is a musician with the bands Le Tigre and MEN. She identifies as genderqueer and a gender outlaw. She said of her involvement with Le Tigre: “I was this genderqueer performer and artist that kind of helped push along a new … revolution in identity”.